Following on from yesterday's look at what BBC Worldwide have coming our way next month, today we look at the releases starting with one loner out on 21st October. First up we have drama series Peaky Blinders, which stars Paul Anderson, Cillian Murphy, Iddo Goldberg, Helen McCrory, Sam Neill, Annabelle Wallis and Joe Cole. Out on both DVD and Blu-ray, the recommended retail prices will be £25.52 and £30.63 respectively. 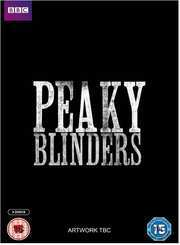 Set in Birmingham in the 1920s, this is the story of a much feared powerful local gang, the Peaky Blinders. Named for their practise of sewing razor blades into the peaks of their caps, they make money from illegal betting, protection and the black market. But when a crate of guns goes missing from an arms factory, their battle-hardened leader recognises an opportunity to move up in the world. The two remaining titles are set to arrive on 28th October, the first of which being sitcom Father Figure which stars Jason Byrne, Pauline McLynn, Dermot Crowley and Michael Smiley. The RRP for this series will be £20.42. Forty-something Tom is trying to be the best father he can be to his two young sons while his wife goes back to work. His parents and best friend make their own demands on his time. Drawn from Irish stand-up Jason Byrne’s own hilarious experiences as a husband, son, and father and packed full of brilliant wit, incisive observational comedy and unsurpassed comic imagination, Father Figure is a truly compelling, surprising and funny show about how to be a great Dad. 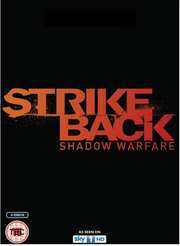 Last, but by no means least, we have the action drama Strike Back: Shadow Warfare, which stars Philip Winchester, Sullivan Stapleton, Rhona Mitra, and Michelle Lukes. The recommended retail price will be £25.52. Strike Back returns for its fourth series, this time rooted in the Arab Spring and the collapse of the Gaddafi regime. It follows the plans of one man to exploit the wealth of weaponry and arms haemorrhaging out of Libya in its aftermath.